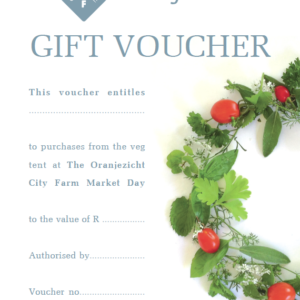 Receive a delicious, fresh box of local veg every week – what could be better? Boxes are filled from OZCF grown without chemicals or pesticides, and topped up with a special item from the Harvest of Hope gardens or a partner trader. Veg boxes are a great way to get your regular weekly vegetables if you can’t make it to OZCF Market Day or just want the veg basics covered before you go shop for a few special extras. 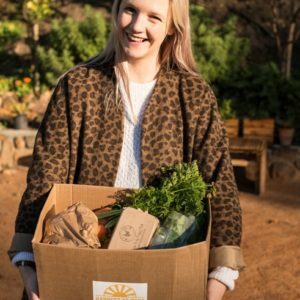 This is the Small Box subscription – each box has 7 items and the cost averages R165 per week, suitable for 1-2 people in a household. (We also have the larger Standard Box subscription available.) A R5 credit will accrue for each week when you bring your own bag to pack the produce into. 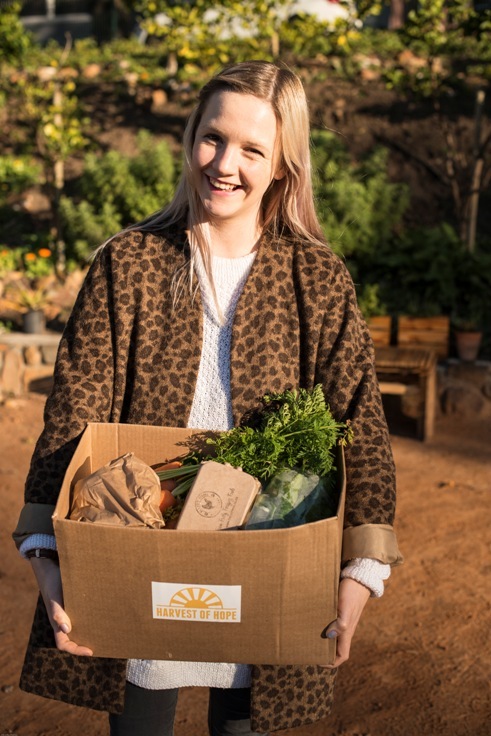 Boxes need to be physically collected by the recipient or a person designated by them every week during the subscription period at the Oranjezicht City Farm on Wednesday afternoons between 14h30 – 18h15. Please note that subscriptions typically run for 13 week periods with pre-determined start and stop dates. The next subscription period will be 20 March – 22 May (10 weeks). Trial month: for new subscribers, includes the first 4 weeks of the subscription period only and includes a once-off signup admin fee. Balance of subscription: the balance of weeks following the initial trial month subscription. Only applies to current trial month subscribers looking to continue their subscription. For a combined veg box and fruit box, please select the Veg and Fruit Combo Box product. Full details, terms and conditions on the boxes and their variations are available here.